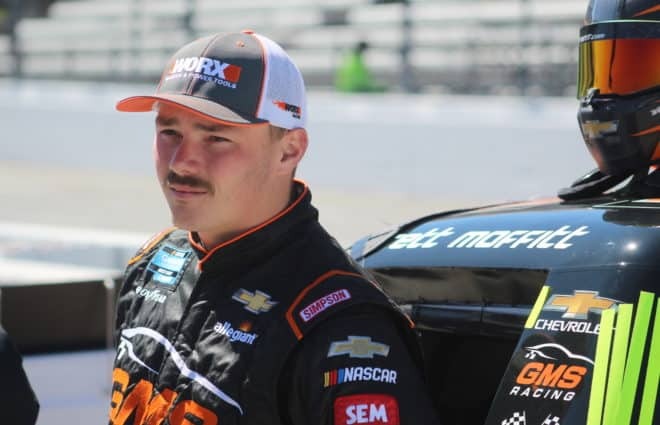 *Rookies in the Starting Lineup:* Patrick Carpentier (4th), Regan Smith (26th), Michael McDowell (29th), Sam Hornish, Jr. (35th) *Unofficial Finishing Positions:* Regan Smith (21st), Sam Hornish, Jr. (23rd), Michael McDowell (40th), Patrick Carpentier (43rd) *Rookie of the Race: Regan Smith. * The most notable part of Smith’s night wasn’t so much his leading rookie finish of 21st, but rather how he got to that point. Soon after the drop of the green flag, the Steak-Umm Burgers Chevrolet backpedaled from its 26th place starting spot, eventually dropping a lap to leader Denny Hamlin by lap 53. Rookie of the Race: Regan Smith The most notable part of Smith’s night wasn’t so much his leading rookie finish of 21st, but rather how he got to that point. Soon after the drop of the green flag, the Steak-Umm Burgers Chevrolet backpedaled from its 26th place starting spot, eventually dropping a lap to leader Denny Hamlin by lap 53. But as it turns out, falling one lap behind would only be the beginning of Smith’s problems. A minor scuffle with the No. 84 car ended with A.J. Allmendinger’ s car in the spin cycle, and brought out the fourth caution of the evening shortly thereafter. Smith was able to continue with nary a scratch on his car; but further challenges still lay ahead for the young freshman. While the Rookie of the Year candidate was avoiding disasters on the track, his veteran crew chief Doug Richert was atop the pit box devising ways to help the car turn through the corners better. 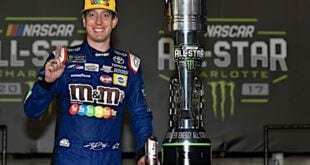 His plans took awhile to develop but they worked; losing just one more lap on the day, Smith emerged from the evening with a 21st place finish, his second consecutive top rookie performance. More importantly, the team has managed to continue momentum and build a cushion over the 35th position in owner points. Tony’s Take: Last week, I mentioned that top “20ish” places may be all that is needed to take the ROTY title this year. I may be proven right, as Smith used another such performance to establish a slim lead in the rookie standings. However, last year’s protégé to Mark Martin is doing more than simply finishing… he is surviving. 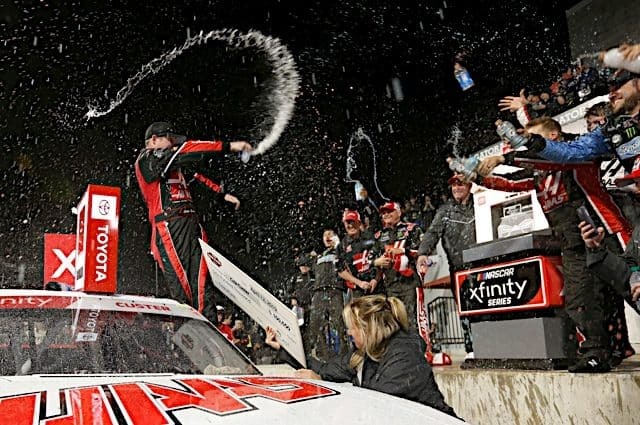 Last week, Smith stayed out of trouble all day long at Talladega until the very last lap; and even then, he found a way to surface from the carnage in turn two to take home a 21st place finish. On Saturday night, Smith survived another Demolition Derby to eventually come home 21st once again. One has to think that if Smith can stop finding himself in the wrong place at the wrong time, these 21st place runs will eventually turn into top 20s, then top 15s, and so on. If he could accomplish this feat, Smith would establish himself as the ROTY favorite that I thought he would be coming into the season. 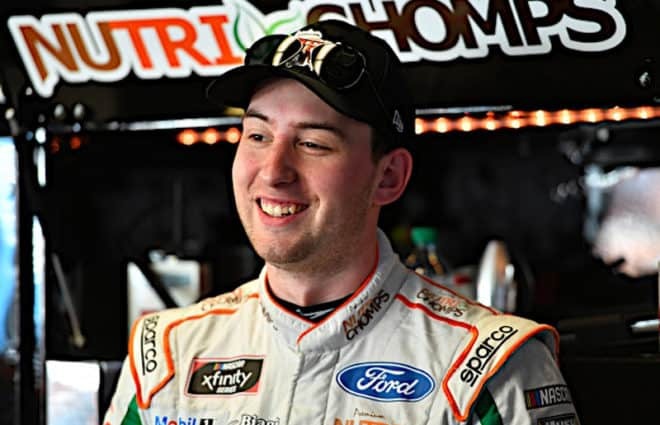 Rocky Rookie Performance: Michael McDowell The pilot of the Aaron’s Dream Machine was making his first ever career start at Richmond, and it turned out to be a forgettable one. Michael McDowell held his own for much of the first quarter of the race, running just well enough to narrowly avoid losing a lap when the night’s second caution came out. The lucky breaks would stop there for McDowell, however, for as it turned out, the No. 00 car wasn’t good enough to gain the track position necessary to keep him out of trouble. The Arizona native found himself in the middle of the pileup that was ignited when J.J. Yeley bounced off the outside wall and Carpentier went for a wild ride in front of traffic. Efficient work by the pit crew put McDowell back on the track without losing much ground; still, McDowell’s hill to climb became just that much steeper. Just 30 laps later, however, he would become the innocent victim of another wreck once again when A.J. Allmendinger’s Red Bull Camry slid up the track in turn three, taking McDowell with him. “I guess the No. 84, A.J., he lost the brakes and he got in there way too hot and had no brake pedal and got into us pretty good,” explained the wrecked rookie. “I went over there and spoke with him. 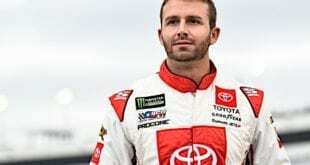 I’m good friends with A.J., and knew he wouldn’t try anything crazy like that and just wanted to see what happened.” The night that looked promising early for McDowell ended in a disappointing 40th place finish. That was the Canadian’s account of the wild ride he took Saturday night when Carpentier’s Lifelock Dodge was launched into the inside wall in a chain reaction wreck that started after Yeley got into trouble heading into turn three. As if the initial impact weren’t bad enough, Carpentier was propelled right back into traffic, where he was walloped by several cars who had absolutely nowhere to go but into the No. 10 car. Adding insult to injury, Carpentier was running as the highest finishing rookie at the time of the wreck, and it looked like he was running well enough to keep it that way. Instead, a night that began with a career best starting position of fourth ended with a career worst finishing position of 43rd. Dario Franchitti missed another week after suffering a fractured ankle at Talladega. The Scotsman’s return is tentatively scheduled for the Coca-Cola 600 on Memorial Day weekend; in the meantime, Sterling Marlin — who drove Franchitti’s No. 40 car from 2998-2005 — will fill in for the injured rookie next week at Darlington. If Franchitti isn’t ready for Charlotte and Chip Ganassi continues his trend of choosing former drivers, expect Kenny Wallace to be behind the wheel for the holiday classic. Remember the No. 40 Dirt Devil car, anyone? Jon Wood was tapped to make his second consecutive start in the famed No. 21 ride, as this team strives for some type of stability in a volatile year. Unfortunately, Wood was unable to rectify the situation, as he turned in the slowest qualifying time on Friday and missed the field by a long shot. 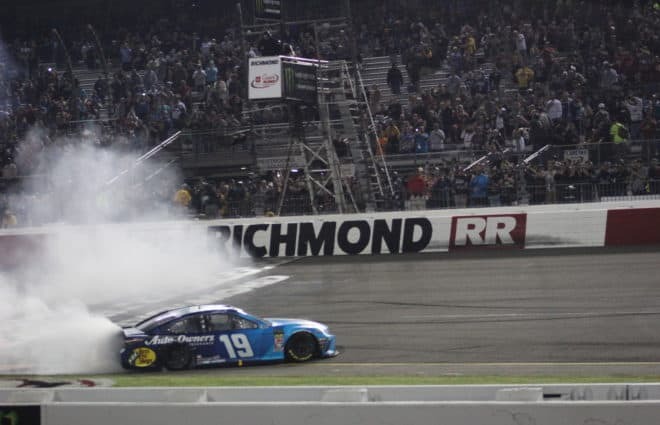 After qualifying on Friday, Patrick Carpentier spoke about how excited he was knowing that the leaders will not be in his rear-view mirror within the first 20 laps of the race. The excitement stopped there, however, as the rookie continued to explain that qualifying day still remains a source of great anxiety. Are Fridays getting any easier for you? 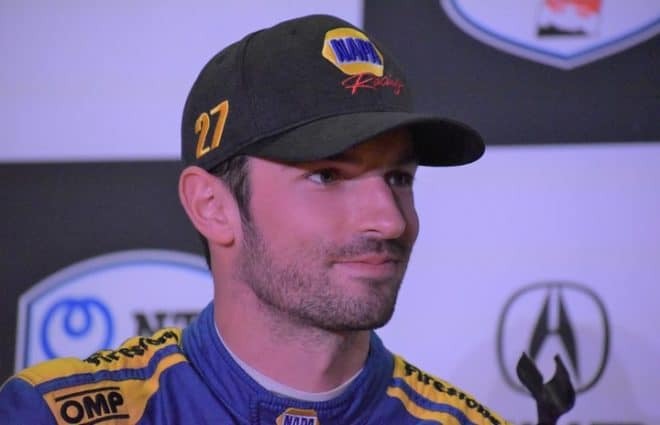 Qualifying Next Week: Patrick Carpentier will need another qualifying performance like he had this past week as once again, the No. 10 team sits outside the Top 35 in owner points. You Make The Pick: Surprisingly, you agreed with me as the majority of you also chose Patrick Carpentier. Looks like we’ll all go down together this week and continue on at 1-0. 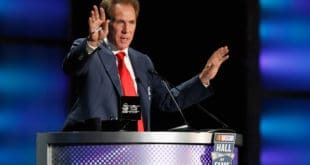 Tony’s Pick for Next Week’s Top Finishing Rookie: Since nothing even comes close to Darlington on the open wheel circuit or anywhere in the world, really, I’ve got to go with a rookie that has prior experience at this venue. Regan Smith has the Nationwide experience at Darlington and I think it will benefit him, as he will be my pick as the top finishing rookie next week. 2008 Score: Readers 1, Tony 0. Tony Lumbis has headed the Marketing Department for Frontstretch since 2008. Responsible for managing our advertising portfolio, he deals with our clients directly, closing deals while helping promote the site’s continued growth both inside and outside the racing community through social media and traditional outlets. Tony is based outside Philadelphia.